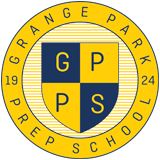 GPPS actively seeks to contribute positively to the community in which we live and beyond. Each school year the children chose a charity to raise funds to help them to undertake their good works for local families. Charities include local and national charities, an example of one of the charities is Haven House who look after children and young people aged from birth to 19 years old who have life-limiting or life-threatening conditions. They provide residential and community services for families from North and North East London, West Essex and East Hertfordshire. In addition to our chosen charity we have raised funds for the British Heart Foundation by completing a “ skipathon”; the Dogs Trust and taken part in the Barnado’s annual concert which was held at the Royal Albert Hall. Our Harvest Festival donations in September were donated to a food bank following a very informative talk by a representative of Enfield Food Bank who told us all about the amazing work they do in helping local families less fortunate than our own.